OZ MUSIC LEGENDS: Judy Stone Goes Down Memory Lane. Judy Stone Goes Down Memory Lane. 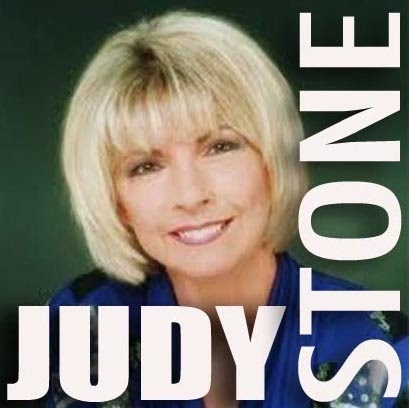 Judy Stone (born 1 January 1942) is an Australian pop and country singer from Sydney, who came to national prominence in the late 1950s through her regular TV appearances on the Australian pop music show Brian Henderson's Bandstand and her many hit records. Major national hits were '4,003,221 Tears From Now' (1964), 'Born a Woman' (1966), '(Would you Lay With Me) in a Field of Stone' (1974), 'Mare Mare Mare' (1974), 'Hasta Manana' (1976) and 'Silver Wings & Golden Rings' (1976). In 1963, she recorded "It Takes a Lot (To Make Me Cry)" on which the Bee Gees (Barry, Robin and Maurice Gibb) sing backup vocals, and the song was released as a single in July. 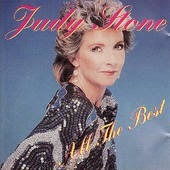 Judy Stone was a pioneer of popular music and became the golden girl of television. A regular on Australian Bandstand with Brian Henderson and often appearing with Col Joye, Judy became a household name in the early sixties.Appearing on most television pop shows and country shows such as Reg Lindsay's Country Hour and so many more. During the early 1960s, Judy became a regular on television pop show Bandstand, alongside the likes of Col Joye, Bryan Davies, Lucky Starr, Noeleen Batley, Patsy Ann Noble, The Allen Brothers, The Delltones, The De Kroo Brothers, Laurel Lea, Jimmy Hannan and Sandy Scott. 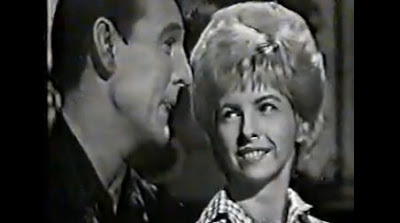 Judy's duets with Col Joye were a popular feature of the show. She began touring with Joye and the Joyboys, and then signed a deal with Festival Records. Judy eventually teamed up with Col Joye on a number of recordings, including the EPs `The I's Have It' and `Clap Your Hands', and albums Col and Judy and The Best of Col and Judy, which contained material like `Young And Healthy', `Angry' and `Side by Side'. In early 1965 she embarked on a two-month Japanese tour with Joye and the Joyboys. A year later, she married Leo De Kroo of The De Kroo Brothers. A 1966 single from Judy Stone which gave Bandstand's #1 lady a whole new sound..a real swingin' 60's sound with a groovy production by Pat Aulton. It was perhaps a bit too 'hip' for Judy's fans who liked her ballads, country & more traditional pop songs. Listen to: "The Trouble with me is you." 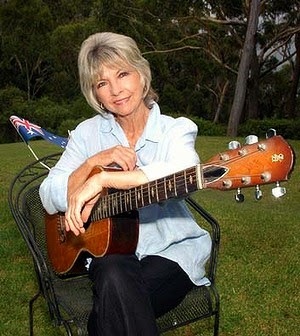 Throughout the late 1960s and early 1970s, Judy consolidated on her early pop successes with regular appearances on the club and country music circuits. Judy's most recent recording was a duet with Scottish singer/songwriter Isla Grant on a stirring rendition of her song What's A Girl To Do? from Isla's 2007 album "Down Memory Lane". Judy: "Everybody thought I was going to marry Col Joye". See this charming interview and some her best songs and lots of your favourites.